Do tu want to registrarse the "Emma Watson as Sam (Perks of Being a Wallflower)" spot? Did u like work of emma in movie? Which poster do tu like best? Did tu like the movie? Who is your favourite character out of these? I want to welcome tu guys to this new club. This is my first club and I hope tu guys enjoy. I have tried to post tons of things to make it fun and interesting. Please contribute as much as tu can so we can all see what tu like too. Feel free to comentario and post whatever tu like because i would amor to hear what tu have to say. Please tell your friends to registrarse as well. Thank tu guys so much and i hope tu guys have fun. Feel free to tell me what tu guys would like to see más of. a comment was made to the poll: Do tu want to registrarse the "Emma Watson as Sam (Perks of Being a Wallflower)" spot? a comment was made to the poll: Who is your favourite character out of these? 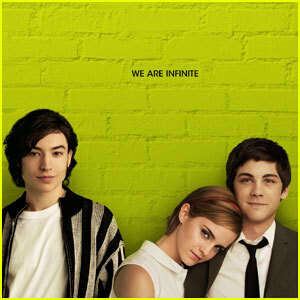 a comment was made to the pop quiz question: Who wrote The Perks of Being a Wallflower? a comment was made to the poll: Do tu think Logan Lerman and Emma Watson would be a good couple? Who wrote The Perks of Being a Wallflower? Hi guys, I made some printables muro posters about The Perks of Being a Wallflower.